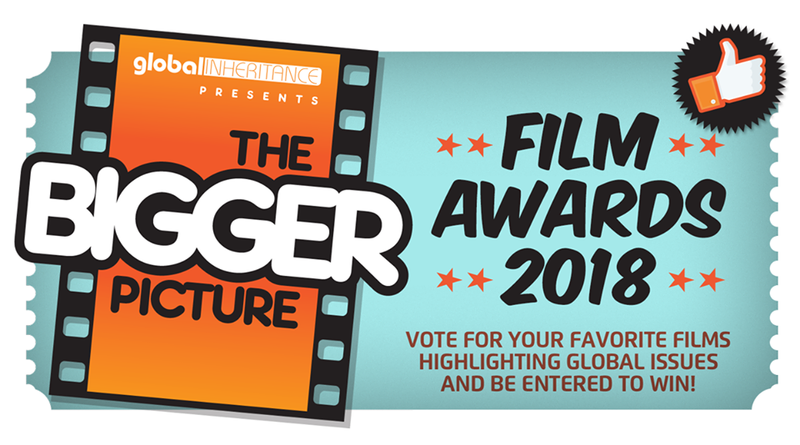 The Bigger Picture Film Awards (TBPFA), the annual interactive film awards honoring the very best in cause-related films and documentaries, announced their 2018 winners on March 1, in Downtown Los Angeles. TBPFA is one of many original initiatives organized by Global Inheritance, a nonprofit organization that works to empower individuals worldwide to think and act creatively in solving global issues. The organization’s initiatives focus on the power of creativity to communicate and drive progressive social change. Founded in 2002 by Eric Ritz, Global Inheritance specializes in reaching young audiences around the world to create awareness of environmental and social issues, tailoring their work to each specific culture and event. TBPFA recognizes a wide range of films that spotlight key issues and provides action points to empower people everywhere. Throughout the past decade, TBPFA has promoted more than 300 films and reached more than 5 million people worldwide. Films are nominated based on their messaging, and winners are voted on across several categories by the audiences as well as a highly respected panel of filmmakers, opinion leaders, artists, scientists and studio executives. Chasing Coral - Directed by Jeff Orlowski. Coral reefs around the world are vanishing at an unprecedented rate. A team of divers, photographers and scientists set out on a thrilling ocean adventure to discover why and to reveal the underwater mystery to the world. Get Out - Directed by Jordan Peele. It's time for a young African-American to meet with his white girlfriend's parents for a weekend in their secluded estate in the woods, but before long, the friendly and polite ambience will give way to a nightmare. Inconvenient Sequel: Truth to Power - Directed by Bonnie Cohen and Jon Shenk. Al Gore continues his efforts to tackle climate change and persuade governmental leaders to invest in renewable energy, culminating in the signing of the Paris Climate Agreement in 2016. Wonder - Directed by Stephen Chbosky. Based on the New York Times bestseller, WONDER tells the incredibly inspiring and heartwarming story of August Pullman, a boy with facial differences who enters fifth grade, attending a mainstream elementary school for the first time. Earth: One Amazing Day – Directed by Richard Dale and Lixin Fan. From exotic jungles, high mountains and remote islands, filmmakers Richard Dale, Peter Webber and Fan Lixin capture the awesome beauty of nature over the course of one day. The Big Sick – Directed by Michael Showalter. Pakistan-born comedian Kumail Nanjiani and grad student Emily Gardner fall in love but struggle as their cultures clash. When Emily contracts a mysterious illness, Kumail finds himself forced to face her feisty parents, his family's expectations, and his true feelings.